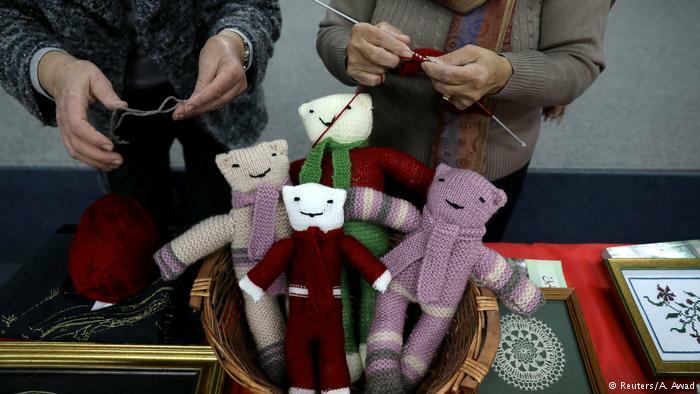 Women knit during a Christmas workshop to teach embroidery in the northern Israeli city of Nazareth, December 6, 2018. Picture taken December 6, 2018. As Nazareth was decked out for Christmas, a group of weavers gathered in the cobblestone alleys of Israel’s largest Arab city, intent on preserving their Palestinian heritage at a time when their communities feel under pressure.